As I sit down to write this, my 2 month old daughter is snuggled over my left shoulder. 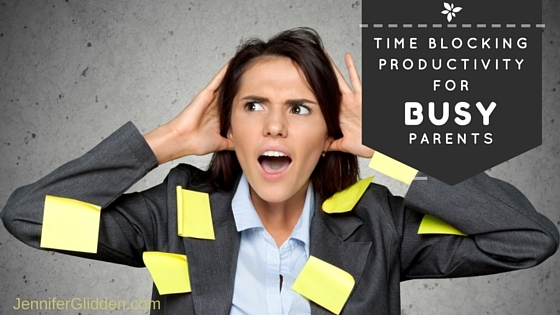 Is it realistic to think a work from home parent can time block? There are a lot of studies done on the brain’s inability to actually multi-task, instead it takes time and mental energy to switch gears from one task to another. If you’re working from home, (or in an office) the reality is that most people rarely have uninterrupted time to sit down and concentrate on one project. There’s always something popping up that needs attention. Strict time blocking assigns 15-45 minute intervals to a specific activity with no breaks or interruptions. It takes mental discipline and results and accomplishing up to 50% more than you otherwise would in a multitasking environment. Sounds perfect! Why doesn’t everyone time block?? For many people, true time blocking is nearly impossible. Should we throw out the concept all together or figure out how to boost productivity in the midst of the reality of countless interruptions? I suggest a modified solution: Time Blocking with Intention. F irst, do all that you can to postpone interruptions until a block of time is done or you’ve finished your task. Second, plan your day the night before or first thing in the morning so that you identify your top priorities to move your life forward. This is NOT a to-do list. This is the top 2-4 things that will produce the most results. Once you’ve identified those, make time blocks for them. 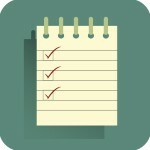 Even if nothing else gets done that day, accomplishing those things will be most productive and fulfilling. Third, if it’s simply not realistic that you can sit down and work on something uninterrupted, take care of the interruption and go back to working on the same task. This is a matter of training your brain to focus. Keep working on that important task until it is complete or your timer is up. No matter what, if you stay focused on one task and finish it, you will accomplish more sooner than if you work on pieces of 5 tasks at the same time. As a busy parent, there are few breaks and lots of interruptions. Wake up before the kids and use time blocking to accomplish your most important tasks for the day. You generally have the most emotional energy at the beginning of the day. Use that to your advantage to knock out some productive time blocks before the day gets away from you. You can feel good about your accomplishments for the day no matter what curve balls are thrown at your schedule. If this article was helpful for you, sign up here for daily time management tips delivered straight to your email.